This 6" Extension Arm with Spigot for Super Clamp by Impact is an ideal solution for mounting lights and accessories to uprights while saving floor space. 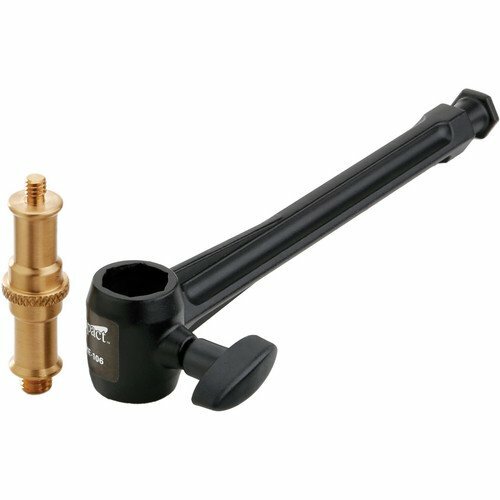 The arm features a 5/8" receiver and a removable double-ended spigot with 1/4"-20 and 3/8"-16 male threads. The arm terminates in a twist-proof hex fitting that snaps into an Impact Super Clamp or similar clamp.